Sylvester Stallone’s slurred speech impediment is the result of an accident at birth. This unfortunate accident left his face partly paralyzed. In fact, if you pay close attention to his diction you may be able to recognize that it sounds similar to a stroke victims. Sylvester Stallone is an extremely well known star of action movies. But acting isn’t his only strength, he is also an accomplished writer, director, and producer. Many of his great hits include Rocky, Rambo, and who could forget Judge Dredd (one of the few movies where he knows one is enough). Along with Arnold Schwarzenegger he was among the iconic 1980’s action stars. However, despite his massive success and instantly recognisable appearance , one feature of alone stand out above all others. Sylvester Stallone’s slurred speech impediment. His slurred speech coupled with his thick accent make him instantly recognizable by his voice alone. Many people may think that his slurred speech it’s all part of an elaborate act to make him appear tougher on screen. Either that or it’s the result of pushing weights and steroid abuse. But it isn’t. Sylvester Stallone’s slurred speech impediment is the result of a birthing accident. Little baby Stallone’s birth wasn’t a straight forward one. To be painfully accurate it was a difficult birth. He was too comfortable inside the womb and didn’t want to come out. During the delivery the obstetrician was forced to use forceps to deliver little Sylvester. The problem was that the forceps damaged the nerves on the left side of his face. Even today, sixty years later, his face is numb and it affects his speech. Why is Sylvester Stallone’s slurred speech impediment similar to a stroke victims? Strokes are mainly caused by blood clots or ruptured blood vessels on the brain. When this occurs the supply of blood to the brain is affected. The most noticeable problem from a stroke is one side of the body become numb. It affects speech, movement and just about every external motion required to perform tasks, no matter how simple. But because a stroke affects the brain, if it wasn’t a catastrophic stroke, most people make a recovery to some extent where most visible ailments of it are no longer noticeable. 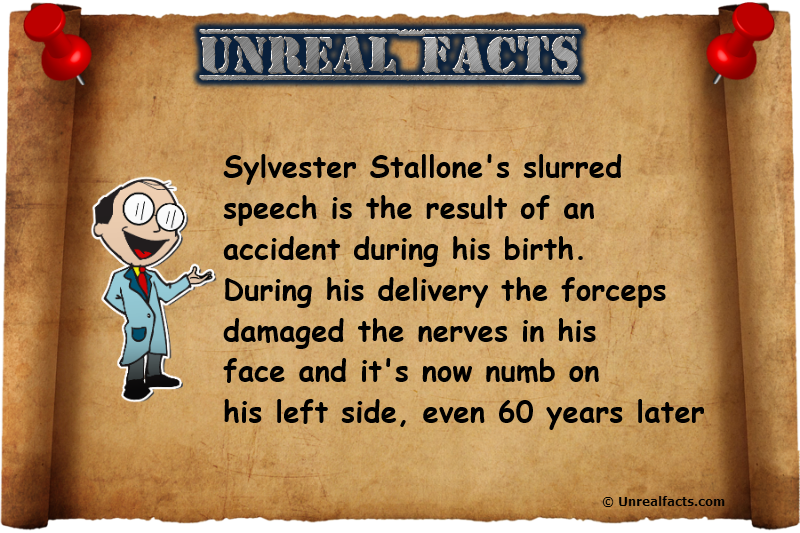 In the immediate aftermath of a stroke and during the recovery period, a stroke suffers speech will be slurred in a similar fashion to Sylvester Stallone’s. Nerve damage on the other hand is almost certainly permanent. Regardless on how you feel about the man as a performer and entertainer, you must give him credit. He has risen above many challenges in his life to chase his dream, and he has succeeded in living them. He is living proof to never give up and always follow your goals. 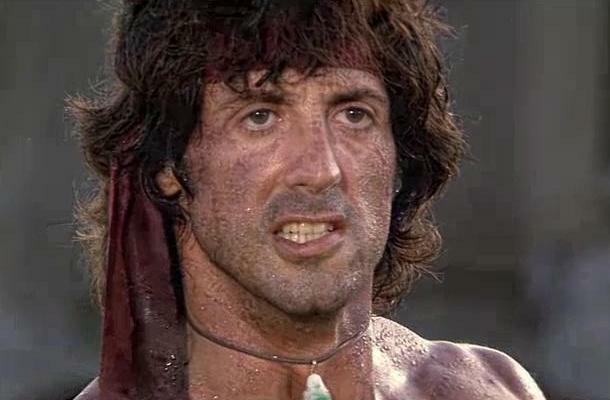 How many people has Rambo killed?